Order a free sample of the fragrance Sensational by Celine Dion. Simply fill out your shipping information and answer a few questions about your use of fragrances. While supplies last. Limit one sample fragrance collection per customer. This company is so convinced that they have the softest and highest quality luxury bamboo bed sheet fabric they are giving away a free sample of their fabric to try before you buy! Sign up now to get a free beinggirl Sample Kit. Included in the kit are: 2 Regular Tampax Pearl Tampons, 1 Lite Tampax Pearl Tampon, 1 Always Infinity Feminine Pad, 2 Always Pantiliners, and 1 Always Feminine Wipe. Want to test your water and make sure there isn’t arsenic in it? Try this test kit for free. All you need to do is fill out your shipping address to get either a green trash bag or a green dish soap. Each issue of American Cowboy reports on the contemporary western lifestyle with engaging profiles of country-western musicians, rodeo performers and western artists along with pictorials of the western landscape. Also includes feature articles on western decorating and fashion, current events affecting the West, travel, food, history, reviews and poetry. This wall poster is a great reference guide for traders in any market. Hang it up, and compare what you see taking shape in the markets on your own charts. Get the message across in a colorful way. Right Decisions, Right Now posters challenge the perceptions that: smoking will enhance a child’s image; smoking will gain him or her improved social status among peers; or that smoking is prevelant among their peers. These posters serve as constant reminders that smoking does not make youth look cool or fit in with their peers. On-line order quantities are limited to one of each poster. 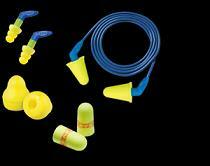 All you need to do is fill out your shipping information and they will send you your free sample of Aearo ear plugs. Get U.S. News & World Report for FREE! 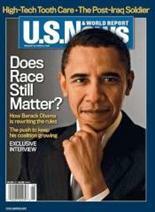 Create your online profiile to receive U.S. News and World Report and two other magazines of your choice for free.